We’ve just completed multiple updates under the hood for better publishing and user experience since the beginning late June. And we’re quite happy with the result. June 28th – Twitter: Implemented a Twitter post scheduling for multiple channels. Now our press releases require very minimum human effort to share to Twitterverse! It’s schedule and forget. June 30th – Twitter: Twitter is now fully integrated on the site. Featured tweets look more beautiful and easier to read! Tweets can be easily embedded in articles with just one copy and paste from tweet source. July 1st to July 5th – More Twitter: Expanded Twitter post scheduling functionality to allow “day of the week” selection, occurrences, multiple Twitter channel options, historical logging and other metrics. Sharing of content can be scheduled more accurately, targeting specific days and time in the future. No fuss. July 17th – Photos: Article photo gallery inserts is now available. Photo album excerpts can now be incorporate in articles in a neat grid with just a minimum of two clicks or taps. Now you can captivate your readers by including select photos from press release photo catalog. July 17th – Soundcloud: Soundcloud is now fully integrated on the site, thanks to m.bluebay700.com’s headstart. Subscribers can now fully enjoy featured Soundcloud content on the full site, just like m.bluebay700.com, without opening more browsers or apps. Soundcloud content can be easily incorporated in any article with just a single line, that is, provided the author allowed sharing. July 18th – Mobile: Full site mobile menu upgrade, done! Our mobile menu bar took four years to happen. This has been a long and painful journey that harkens back to day one of bluebay700.com’s development. It’s 100% legitimate pain of our existence. After trying so many countless ready-made mobile menu options, we resigned to the fact that there’s nothing out there, paid or free, that is streamlined and functional. Majority that we tried put a heavy load on our site, they were clunky, and were too focused on pushing for “Pro” upgrade (which comes with a hefty subscription price). So we said, “F it, let’s make our own!” … and finished it in with just twelve man-hours. “If you want to do something right, do it yourself,” someone’s father said. Now, when you visit our humble site from our mobile devices (using Chrome, hopefully), you’ll see a beautiful blue bar on top of the page, the familiar “☰” button. Tap it … and be wowed by how unexciting it is. It’s simple and functional, and that’s the point. RT @allanbrocka: Happy Friday the 13th! How are you celebrating? RuPaul’s DragCon LA 2018 press room behind the scenes. 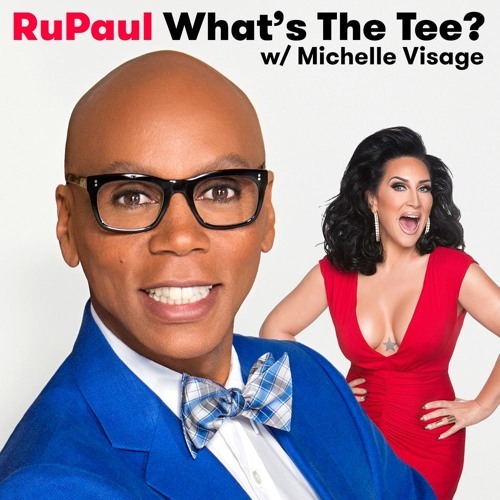 In this episode Ru and Michelle discuss loss, staying skinny, and Ru's dream Andy Warhol factory. This episode is sponsored by Squarespace, Talkspace, and TodayTix. Now, we must stop and drink some alcoholic beverage, in moderation.